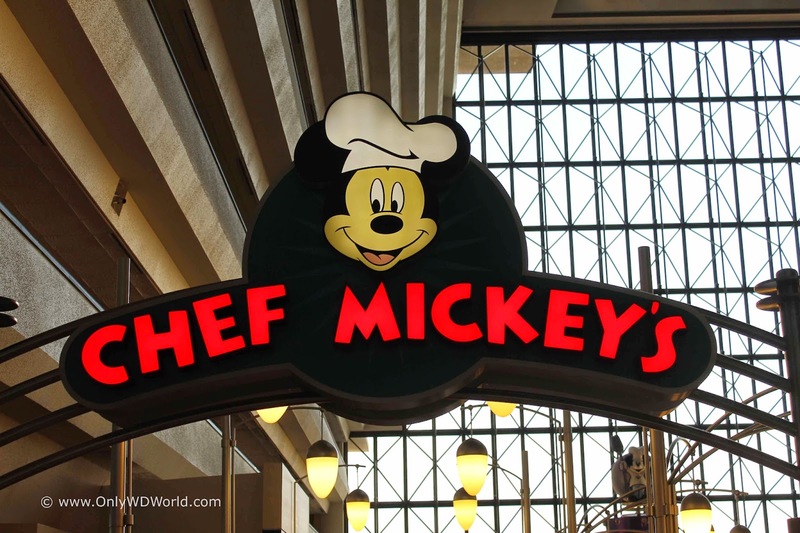 One of the favorite Disney World Dining locations has added more opportunities to dine there! Chef Mickey's, which is located in the Contemporary Resort, is adding Brunch in addition to the Breakfast and Dinner dining options. All 3 will be Disney Character Dining meals including that Mouse who started it all: Mickey Mouse! Now there will be more opportunities to dine at one of the toughest to get reservations in all of the Walt Disney World Resort. 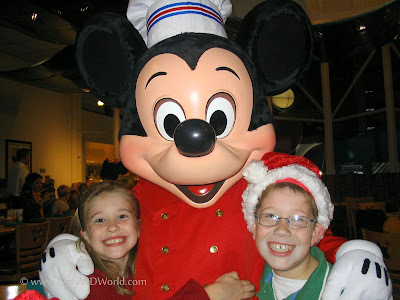 Chef Mickey's is a Disney World MUST DO for all families. This character dining, buffet style restaurant, is one of your best ways to get to meet and interact with Mickey Mouse and his friends as they make their way to each and every table for an opportunity for autographs and pictures. For brunch, the menu of breakfast favorites expands with soup; salads including Caesar; seafood, fresh broccoli, antipasto, chicken and Caprese, and hot dishes such as barbecued ribs, seafood étouffée and baked salmon. (And, yes, the famous Mickey waffles are on the brunch menu.) The ice cream bar and Contemporary bakery sweets also will be part of the expansive buffet. Hours for brunch are 11:30 a.m.-2:30 p.m. (Breakfast is still 7-11:30 a.m. and dinner 5-9:30 p.m.) Meals are one table-service entitlement on the Disney Dining Plan. For reservations, visit www.disneyworld.com/dine or call 407-WDW-DINE. 0 comments to "Chef Mickey's Adds Brunch To Disney World Dining Options"